Safra National of New York ("Safra National") is a nationally chartered U.S. Private Bank supervised by the Office of the Comptroller of the Currency and member of the Federal Reserve and the Federal Deposit Insurance Corporation (“FDIC”). Safra National, headquartered in New York with a branch in Florida and representative offices in Brazil, Chile, Mexico and Panama, is a leading international private bank with a devoted team of relationship managers serving many sophisticated, high net worth clients throughout Latin America. To fully meet the many needs of its clients, Safra National has a fully functional U.S. broker-dealer subsidiary, Safra Securities LLC (“SSL”), which is registered with the Securities and Exchange Commission (“SEC”) and is a member of the Financial Industry Regulatory Authority (“FINRA”) as well as an SEC registered investment advisor affiliate, J.Safra Asset Management Corporation (“JSAM”). Safra National is part of the J. Safra group of companies (“Safra Group”), which is an international network of companies controlled by the family of Mr. Joseph Safra. Well established through its banks in the United States, Europe, Latin America, Asia, the Middle East and the Caribbean, the Safra name is a global symbol of private banking tradition, emphasizing security and tailored investment services that meet the demanding needs and objectives of clients. As of December 31, 2017, the Safra Group had aggregate stockholder equity of approximately US$18.9 billion and total AUM of US$249 billion. The Safra banks are in 165 locations worldwide and have over 9,100 employees. Recently "M.Y. 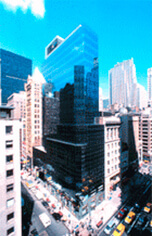 Safra Bank" started operations in the New York Area. "M.Y. Safra Bank" is not affiliated with Safra National. The primary focus of Safra National is on the private banking business. Clients know that all decisions made at all levels of the institution are made from the perspective of the private banking business with emphasis on maintaining the reputation of the Safra Groups' brand and risk aversion culture. This focus also means all support areas of Safra National are very knowledgeable about the private banking business, resulting in a total dedication of the institution to its clients and to the business of private banking.